The shops have been stocking their Christmas jumpers since last month and I still have not found one I would be happy to wear. 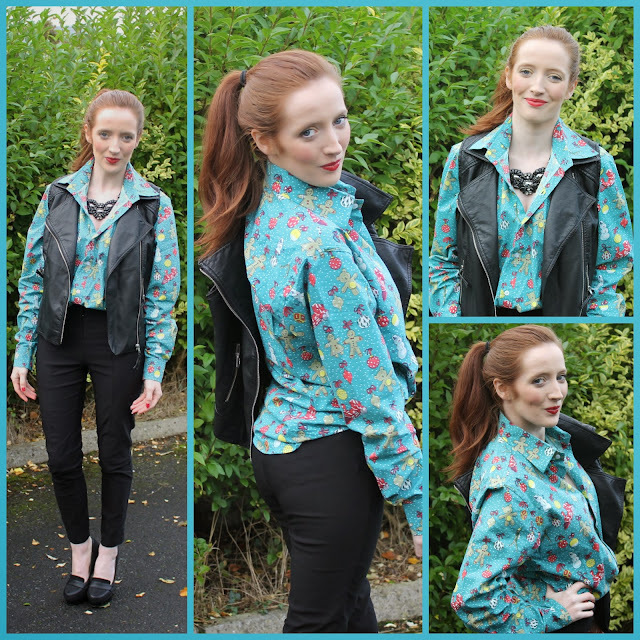 The Christmas Shirt company (http://www.thechristmasshirtcompany.com/) are an alternative festive fashion online store and I was so thrilled to be asked to feature and style one of these shirts on Bec Boop Fashionista World. 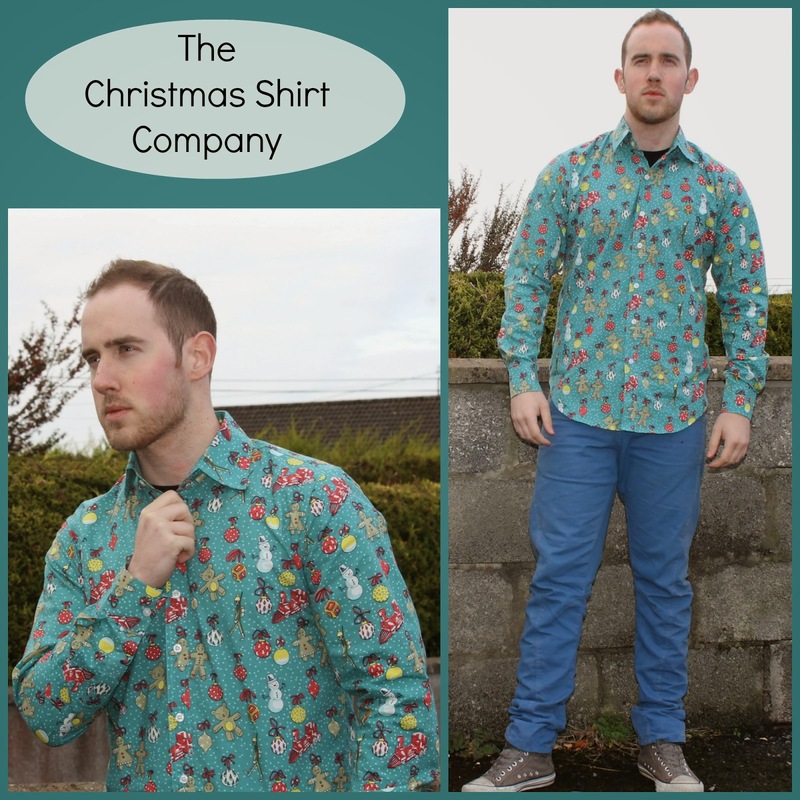 This is the shirt which the Christmas Shirt company so kindly sent me – ‘The Gingerbread Party’ shirt in Green available to purchase here for only €29.99. The ‘Twelve Pubs of Christmas’ pub crawl has become an imperative part of the festive party season and there is nothing worse than being at a party in a heavy woollen jumper that you have been wearing all day…not cool! The Christmas shirts are cool, light and 100% cotton and with a variety of colours and patterns available you won’t have to spend hours sewing on lights or tinsel to stand out from the crowd. All shirts are designed for men and women, international shipping is available too and as you will find out in this post they can be worn in so many different fun ways! I love the cute design of this shirt and the quality is really quite good. We are both wearing size small in the below images. My fiancé has tried out the shirt to show how it can be worn for a casual look if you are going on a pub crawl during the day. 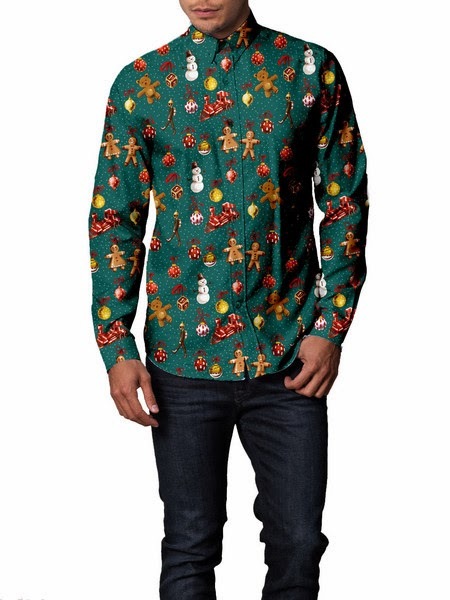 This is a look I would wear myself for the ’12 Pubs of Christmas’ or a night out over the Christmas holiday season. 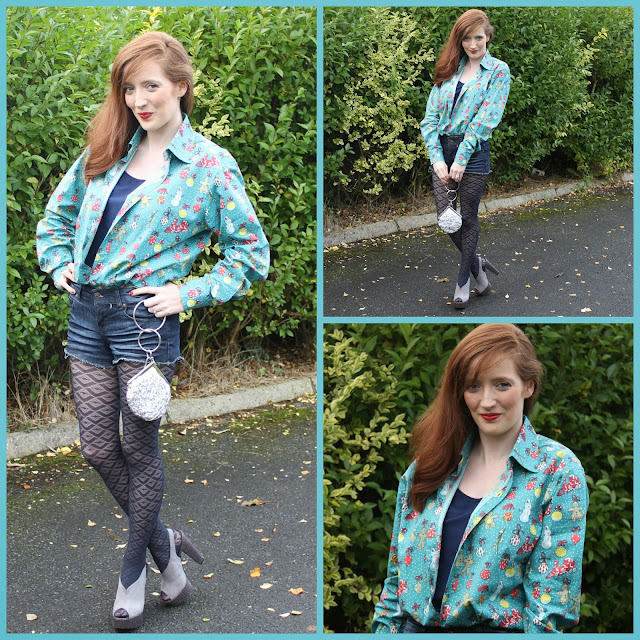 I tucked the shirt into my denim shorts and left only the bottom buttons closed with a navy cami underneath. The shirt is honestly so comfortable to wear and can be worn in so many different flattering ways. If you’re feeling a little braver or feeling up to channelling your inner Rihanna you can bare your legs for a sexier look! When not tucked in the shirt is quite long which is great for a stylish over-sized look. I kept this look quite minimal with a large waist belt and statement necklace but really allowing the shirt to do the talking. This is a look you could wear to town during the festive season. Fitted black pants and a leather look vest perfect the outfit. Will you consider Christmas shirts as an alternative to Christmas jumpers this year? Which look is your favourite?